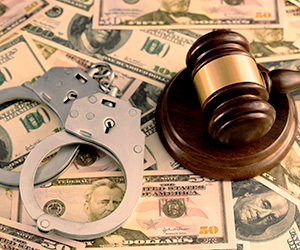 There were only three FCPA enforcement actions in the first quarter of 2019, but the small number obscures a bigger threat to corporate bottom lines—fines totalling $1.1 billion. This figure eclipses the total settlements in Q1 2018—also for three corporate enforcement actions—of a mere $3.45 million. What does this mean to risk management professionals? It’s more important than ever to ensure that your processes for managing third-party risk meet regulators’ standards. At the top of the pack—and not in a good way—is Russia’s biggest mobile phone company, Mobile TeleSystems Public Joint Stock Company (MTS). The FCPA Enforcement Report noted that the company paid $100 million to the SEC for violating the anti-bribery, books and records, and internal accounting controls requirements of the FCPA. MTS also faced criminal penalties levied by the DOJ of $850 million, with credit for the $100 million paid to the SEC. Both MTS and its Uzbek subsidiary are now required to engage a compliance monitor for three years as part of the deferred prosecution agreement. Compared to the hefty fines levied on MTS, the other two companies received relatively modest penalties. Cognizant Technology Solutions Corporation paid disgorgement and prejudgement interest of $19 million, along with a $6 million penalty, without admitting or denying the allegations of violating FCPA provisions. Dialysis equipment and services giant, Fresenius Medical Care AG & Co., paid a combined $231.7 million in penalties and disgorgement to resolve FCPA violations related to bribery of doctors and public health officials in at least 17 countries. The vast scope of the bribery scheme led to additional requirements: In addition to the fines, the company must pay for independent compliance monitoring for two years and must self-report to the DOJ for an additional year. But these weren’t the only actions taken in Q1 for FCPA compliance failures. The former home secretary of Hong Kong was ordered to pay $400,000 in criminal penalties and spend three years in prison for conspiring to violate—and violating—the FCPA and international money laundering regulations. A Honolulu contractor pleaded guilty on charges that he conspired to violate anti-bribery rules in the FCPA and commit fraud against a federal program for bribing PEPs in Micronesia. A New Zealand national and former banker was charged with conspiracy to violate the FCPA, as well as wire fraud, securities fraud and money laundering. Two other Bulgarian nationals and former bankers were similarly charged as co-defendants. In addition, individuals related to two of the corporate enforcement actions face charges. The former president and the former chief legal officer of Cognizant were each charged in a 12-count indictment ranging from conspiracy to violate the FCPA to falsifying books and records to cover up the crimes. Likewise, the former CEO of an MTS subsidiary, along with the daughter of the former president of Uzbekistan, were charged with a variety of bribery and money laundering offenses. The message is clear: If leadership doesn’t set—and adhere—to high standards of FCPA compliance, they’ll be held accountable. Make sure you implement a rigorous bribery and corruption risk mitigation process or face the consequences. Are you confident enough to put corporate finances and personal freedom on the line? Download our Anti-bribery & Corruption Compliance fact sheet. Learn how our due diligence and risk monitoring solutions help organizations meet FCPA compliance expectations.